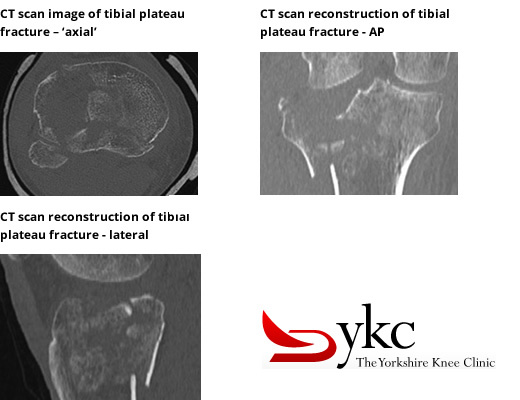 The Yorkshire Knee Clinic has rapid access to all necessary imaging techniques to assist with the diagnosis of knee injuries and conditions. of the knee in particular looking for signs of arthritis, loose bodies or bone fragments in the knee, fractures and other more unusual conditions of the bone. This has become one of the best techniques for examining knees for soft tissue injuries such as ligament injuries, cartilage tears and damage to the joint surface cartilage covering. Whether or not you require an MRI scan will be discussed with your surgeon. Ultrasound scans are a useful and simple investigation for some superficial (near the skin) knee injuries or conditions. These include problems affecting the patella or quadriceps tendon and cysts around the knee. 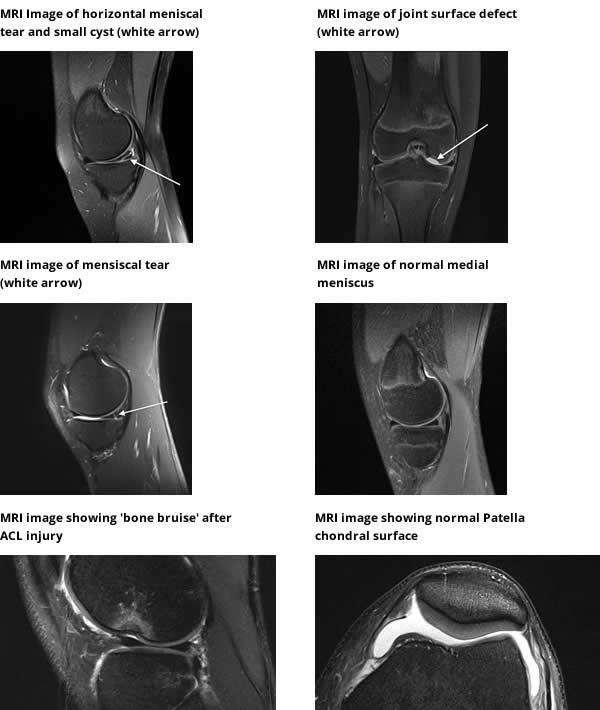 CT scans for knee problems have largely been surpassed by MRI but they still have a useful role where the diagnosis is specifically related to the bone around the knee. With complex fractures, for example, 3D reconstruction from CT scans is useful for planning surgical reconstruction. These are less commonly used than the standard imaging investigations but can be useful for investigating stress fractures, painful knee replacements and other uncommon knee conditions. 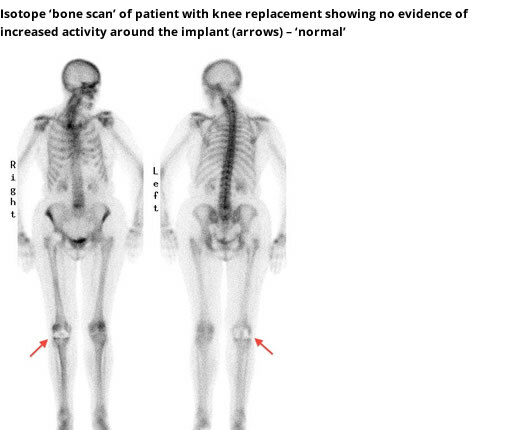 Isotope bone scans look for increased bone turnover. There are other ‘nuclear medicine’ scans available with more specific indications.